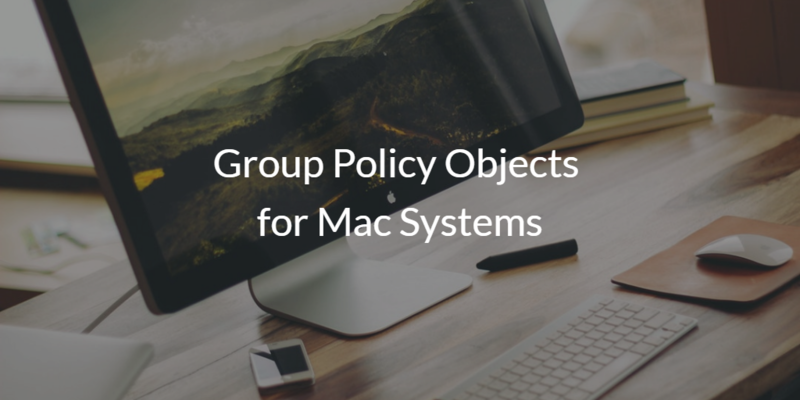 Any IT admin will tell you that group policy objects for Mac systems would be helpful. The issue is that traditional Group Policy Objects (GPOs) are Microsoft® constructs designed exclusively for Windows® based IT resources. This limitation can present a major challenge for modern IT organizations, especially for Mac shops. 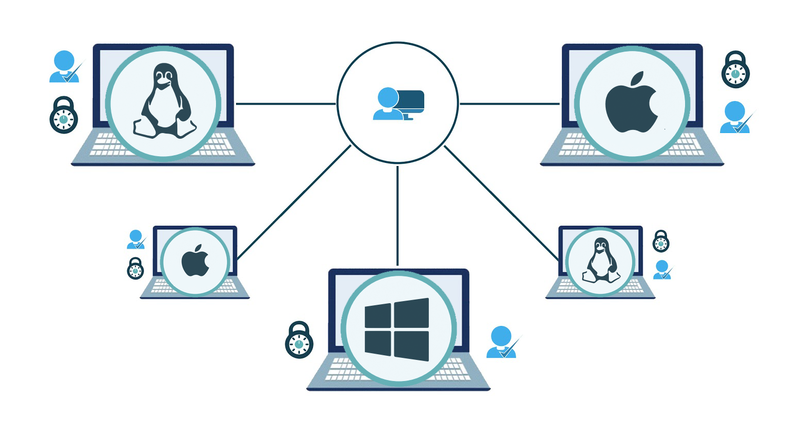 The question that is often asked is whether there is a cross-platform system management solution that can manage Windows, Mac®, and Linux® systems. The short answer is that cross-platform GPO-like capabilities for Windows, Mac, and Linux systems come standard with the JumpCloud® Directory-as-a-Service® platform. The longer answer is what we will discuss in this blog post. Let’s dive in! GPOs are essentially templated scripts, commands, and policies designed to control Windows system behaviors. They are commonly used to disable USB storage, configure screen lock timeout, restrict control panel access, and a lot more. GPOs are typically deployed remotely from the Active Directory console. This enables IT admins to control system policies from one central management platform. However, perhaps the greatest advantage is that GPOs can be applied to groups of systems at once. In fact, they can be leveraged to help manage an entire fleet of systems – but only if they are Windows-based. The fact that GPOs are exclusive to Windows systems is an issue for modern IT organizations because the popularity of Mac and Linux systems has grown exponentially since the mid-2000s. According to ComputerWorld, this trend will continue for the foreseeable future as Macs become the new standard for enterprise systems. Unfortunately, there isn’t an easy way to do GPOs for Mac from Active Directory. Sure, you can purchase third party solutions that integrate with AD that can create the equivalent of GPOs for Mac and Linux machines. But that takes extra time, effort, and resources. Not to mention that those solutions further entrench you on-prem along with Active Directory. The network isn’t Windows based any longer. As the world shifts to a more heterogeneous environment, Mac and Linux systems are becoming more popular along with a wide variety of non-Windows based applications, file servers, and network infrastructure. As a result, IT admins need a new approach to think about how to manage their Mac systems. 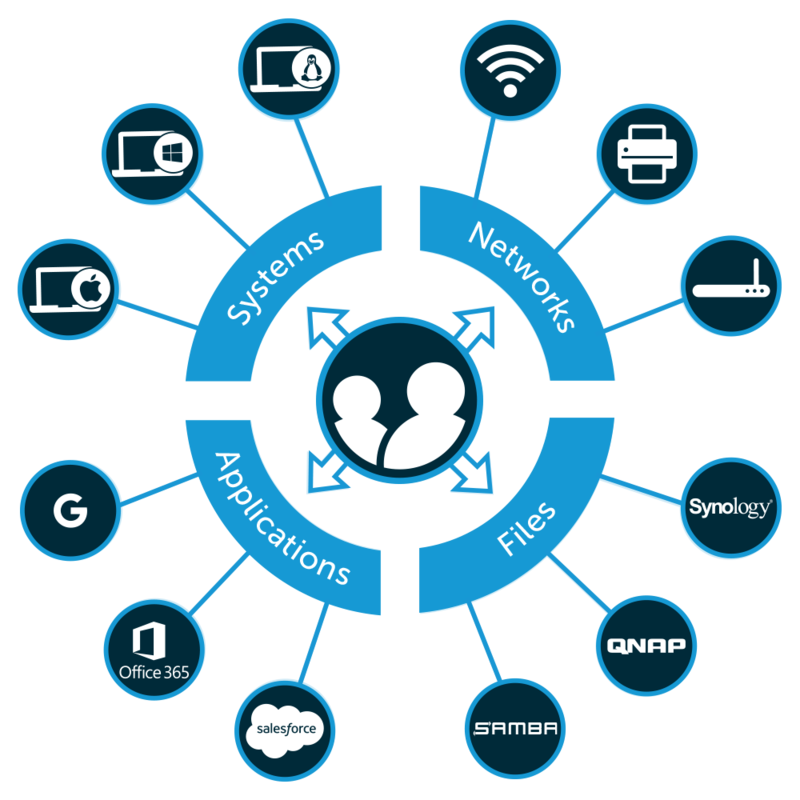 The good news is that, while the original concept of GPOs is Windows centric, the overall approach to group based policy management doesn’t have to be tied to one platform. In fact, the ability to control Windows, Mac, and Linux systems via a central IT management system makes a lot of sense for modern organizations – especially, if systems could be tied to a core identity provider living in the cloud rather than on-prem. Fortunately, there is a new generation of identity management solution that is taking a holistic approach to system management to help IT admins create the equivalent of GPOs for Macs. This solution is called JumpCloud Directory-as-a-Service. JumpCloud Directory-as-a-Service is a central identity management solution with cross-platform system management capabilities built in. This includes cross-platform GPO-like capabilities, called Policies in JumpCloud parlance. In other words, IT admins can manage their cross-platform fleet of systems with actions such as setting security policies, enabling management control over the system, and executing tasks on those devices – all from one central console. Check out our whiteboard presentation to learn more about JumpCloud’s Group Policy Objects for Mac systems. You can also contact JumpCloud, schedule a demo, or sign up for a Directory-as-a-Service account to see Group Policy Objects for Mac Systems in action. Your first ten users are free forever, and we don’t even require a credit card to sign up. Sound too good to be true? Check out the JumpCloud platform today!